115 days. 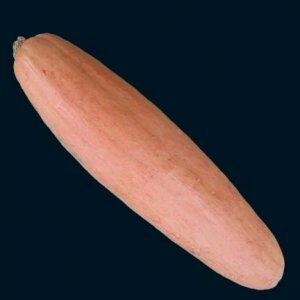 Plant produces good yields of 30" long banana shaped pinkish color squash. This unique squash has delicious yellow-orange flesh. Fruits can get 4 feet long and 1 foot across and weight 70 pounds. Impress your neighbors and grow a huge squash. 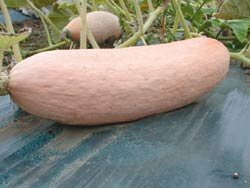 A winter squash variety.